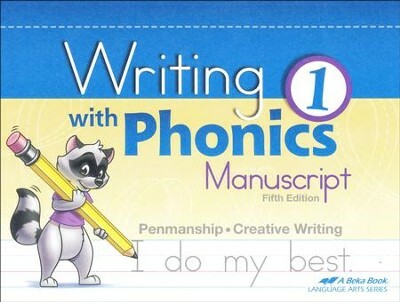 The Abeka Writing with Phonics 1 Manuscript Workbook, 5th Edition gives students the foundational skills of manuscript writing. 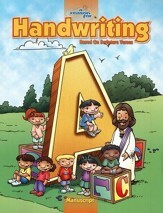 Lessons include warm-up exercises, an example of the letter being practiced that day, and examples to trace and copy. This workbook builds progressively, beginning with single letters and progressing to phonics blends, special sounds, and words for your child to trace and copy. Students will learn about letter formation, size, spacing, correct posture for writing, and the correct position for paper and pencil; phonics, spelling, and creative writing skills are integrated into the exercises. 255 pages, softcover. Grade 1. 5th Edition. 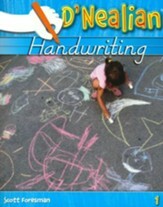 I'm the author/artist and I want to review Abeka Writing with Phonics 1 (Manuscript; New Edition).